A doctor who had been to West Africa working for Doctors without Borders has tested positive for Ebola. 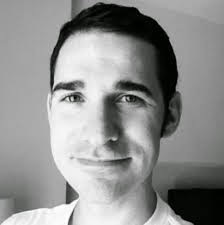 Although not yet confirmed by the CDC, initial testing does indicate the Dr. Craig Spencer, who returned from Guinia ten days ago, does have the Ebola virus. Spencer, who lives on 147th Street in West Harlem, was under self-quarantine for the 21-day incubation period when he began feeling feverish and having gastrointestinal problems. New York Governor Mario Cuomo said that there are at least four people who have come into contact with Spencer who need to be monitored for Ebola symptoms over the next few weeks including Spencers fiance, and three friends. Mayor Cuomo said that he feels New York is as ready as it could be under the circumstances for any new cases of Ebola. The day prior to Dr. Spencer developing symptoms he went on a jog and travled by subway. He also visited a bowling alley, which is currently closed pending health inspection clearance. Dr. Spencer has been admitted to Bellvue Hospital in New York City with a fever of 103 degrees and is currently in isolation. No information is currently avaiable about the treatment method he will undergo to combat the virus. Has the Ebola crisis come to an end in the United States? The forty-eight family, friends, and others who were exposed to Liberian Ebola victim Thomas Eric Duncan are now out of quarantine, and none have shown signs of having contracted the virus. They have now been cleared to leave the apartment where they have been held under watch for the past few weeks, however, they continue to grieve for their lost loved one. With no specific drug available to effectively treat Ebola, there is a cry for blood, or that is, the blood of those who have had the disease and developed an immunity. Kent Brantly, the American who contracted Ebola in West Africa and was returned to Atlanta for treatment, has given blood to three other Ebola victims, and each is recovering. On average, 50-70% of those infected with Ebola, die from the virus. Some evidence suggests that some people may develop an immunity to Ebola without ever having been ill. A study was performed during a 1996 Gabon outbreak, where those who had contact with Ebola patients were monitored by researchers, and later found to have antibodies to the virus. Out of the 24 subjects monitored, 11 had antibodies. This suggests that immunization may be naturally occurring to people who are exposed to the virus. ZMapp, the experiemental drug that was given to workers Dr. Kent Brantly and Nancy Writebol, who contracted Ebola in West Africa, is another potential treatment for those infected with the virus. 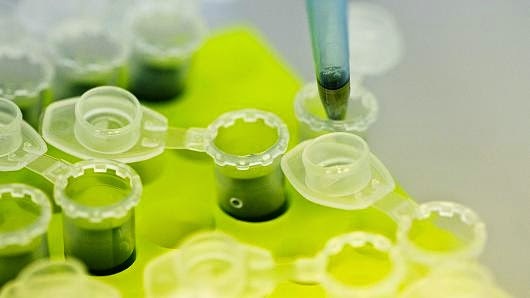 The United States is in the process of submitting plans to have the drug developed and produced. A task order was submitted on October 16 by the Biomedical Advanced Research and Development Authority (BARDA) inquiring about plans, budgets and timetables. Other labs throughout the United States and around the world are working on treatment measures or a possible vaccine for the virus. As the World Bank in Geneva warns that the fight for Ebola is being lost, the UN pleaded for more money to combat the disease. Deaths from Ebola have now topped 4,500, with the vast Majority in West Africa. Many countries are concerned about potential victims traveling and exposing others to the disease. In early October, a healthcare worker who helped treat Thomas Eric Duncan, traveled by plane while infected with the Ebola virus. Another health care worker who had direct contact with clinical specimens of the Ebola victim boarded a cruise ship in October. Although she showed no symptoms of the disease, she was isolated in the Carnival Magic ship till it could be returned to Dallas, Texas. Dozens of people around the United States are being monitored for symptoms of Ebola. Victims of the virus can take from 2 to 21 days to exhibit symptoms of the disease. Please subscribe to stay up to date about Ebola and other flu news. What’s New with Ebola? Nina Pham has been transferred to the National Institutes of Health (NIH) in Maryland, and Amber Vinson is at Emory University Hospital in Atlanta. 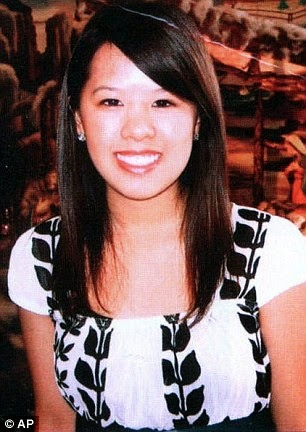 Texas Presbyterian Hospital released a video of Nina Pham inside her hospital room in Dallas. Her doctor, Gary Weinstein took the video just a few hours before Pham, 26, was transferred to NIH. Both Pham and Vinson are being treated with experimental drugs to combat the Ebola virus. As of last night, Pham was listed in fair condition, and Vinson stable condition. Vinson,29, may have had symptoms earlier than at first thought, and the Centers for Disease Control is contacting people from the first flight, Frontier Airlines, 1142, along with people who were in the Ohio bridal shop, Coming Attractions: Bridal and Formal, where she and her bridesmaids were looking at gowns in preparation for her upcoming wedding. The owner of the bridal shop asked ABC News, “What are we supposed to do? The lady was here.” She said her employees are afraid to come to work. 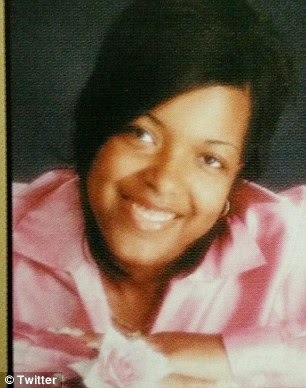 Amber Vinson’s mother has said she was not sick when she first came home to Ohio, and that she was not feeling sick when she went to Dallas. According to Vinson’s family, she never contacted the CDC. They stated she, and other workers who were in contact with Duncan, were told to monitor their temperatures, but were not under any orders to contact the CDC. Her family said she would not have put them or other people at risk had she known she was sick. One of the nurses who worked with Thomas Eric Duncan, the Liberian man who died of Ebola in early October, and handled clinical specimens taken from the patient, is now isolated on a Carnival Cruise ship off the coast of Belize. Carnival wanted to drop the health care worker in Belize due to the potential for Ebola infection, however, Belize said they would not accept the passenger. The Mexican government also declined to allow the passenger to disembark in the country. State Department Deputy Spokesperson Marie Harf said she thought the situation could have been handled differently and that, “Decisions like this need to be based on information and science, and not fear.” A Carnival spokesperson says she has not exhibited any symptoms to date. Harf said that there are ongoing talks between governments to determine how to handle these situations as they arise. The ship is on its way back to Galveston, Texas and expected to dock on Sunday, October 18. Texas State Health has sent a message to anyone who was in contact with Duncan to stay away from public places and not board any trains, buses or planes till the incubation period of 21 days has passed. One method that is being used to treat Ebola is blood transfusion. Kent Brantly, the first man transferred back to the United States after having contracted Ebola while in West Africa, had received a blood transfusion from a West African boy who had overcome the disease in order to help combat the virus. Now Brantly has given his blood to help three of the victims including Nina Pham, Dr. Nick Sacra, a doctor who contracted the disease while treating patients in West Africa, and NBC cameraman Ashoka Mukpo. All happened to have type A blood. He offered blood to Thomas Eric Duncan, but their blood types did not match. Whistleblower, Brianna Aguirre, has recently come forward to talk about the lack of protocol in Texas Presbyterian Hospital where two of the nurses who treated Duncan later developed symptoms of the Ebola virus. She described the scene at the hospital when Duncan was admitted as “chaos,” and describes how nurses wore three pairs of gloves and booties each, and were covered from head to toe in protective garb, but that there was a gap of a couple of inches where the skin was uncovered in the neck area. She said she, “Threw a fit,” and could not believe that this was happening in the second week of the Ebola crisis. Texas Presbyterian Hospital chief Dr. Daniel Varga said that when Thomas Eric Duncan came into the hospital, they were unprepared to recognize the non-specific symptoms. He said that they were prepared to treat Ebola, but not to diagnose the disease. He said, “Mr. Duncans’ second visit came with a neon sign. We’re proud of how we managed that. We wish we had picked that up on the 26th.” When asked how two nurses wearing protective gear got Ebola, Dr. Varga said that Nina Pham was one of the first to have contact with the Liberian man in the emergency department prior to his confirmed diagnosis, and says that her protective equipment was in compliance with CDC recommendations “at the time.“ He said that once they had the serologic evidence of Ebola, hospital staff started wearing hazmet gear. The United States government is scrambling to put measures into place to stop the spread of the Ebola virus. A new “Ebola czar,” Ron Klain, who served as chief of staff for Vice President Joe Biden and former Vice President Al Gore, will report to Lisa Monaco, the president’s homeland security adviser, and national security adviser Susan Rice on any updates. Klain’s official title is Ebola Response Coordinator. Klain has no previous medical experience or training, and the choice has met with some criticism. Many have openly stated they feel countries that have high rates of Ebola should be cut off, however, there is some evidence that may worsen the spread of the disease. U.S. soldiers, who were reportedly only given four hours of Ebola training, were recently dispatched to West Africa to help build hospitals and other infrastructure that will assist in containing the Ebola virus. One of the many things they will be doing on the ground is assisting with building facilities that will enable more people to get help both before and after they contract the virus. Some of the reasons the disease has spread so rapidly in West Africa is because the people of that country do not have access to adequate medical care. In addition, they have a ritual of washing the corpses of their loved ones prior to the funeral. People who have died from Ebola are especially contagious. Another possible reason for the continual rapid spread of the virus in that country is the residents’ suspicion that health care workers are out to harm them. 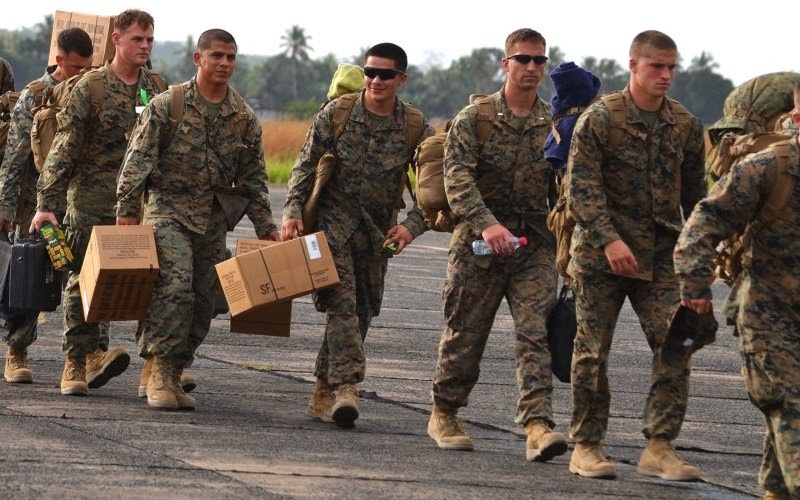 The military is not expected to come into contact with any Ebola victims, but is in the country to build the infrastructure that will help health care workers and officials combat many of these issues. The World Health Organization has estimated that the Ebola outbreak in West Africa could reach the rate of 10,000 new infections per week over the next several months if it is not stopped. Currently, the infection rate is 1,000 per week. The Ebola virus is rapidly spreading throughout Africa. In addition, at least 17 cases of Ebola have been diagnosed outside West Africa. The death rate for this strain of Ebola has gone from 50% to 70%. There has been some success in Monrovia and Nigeria in combatting the Ebola virus, and much of this is due to advanced hospital care. Airports screenings for Ebola have been put into place, and other measures are being taken at borders and ports of entry. The CDC is communicating with government agencies in an effort to educate their workers on how to screen travelers. President Obama has cancelled recent travel plans to deal with the crisis at home. Obama stated that his aides should monitor the spread of Ebola in the U.S. “in a more aggressive way,” but that Americans should be confident that the government can handle the crisis. He went on to say that other nations need to respond to the outbreak in West Africa as well. He said that if the world ignores this region of the world, the disease could spread globally. The CDC has said that they will send a rapid response team to any hospital in the United States where there is a suspected case of Ebola. Check out the CDC website for more information on the transmission, symptoms and care for Ebola. Nina Pham, 26, the first health care worker known to be infected with Ebola in the United States, is being transferred to the Washington, D.C., National Institutes of Health for treatment. She will be the last Ebola patient with Ebola at Texas Presbyterian Hospital. There was some concern about the lack of qualified staff available to treat her at the Dallas Hospital. Pham and Amber Joy Vinson, 29, were both infected while working with Thomas Eric Duncan, the Liberian man first infected in West Africa. He showed up at the hospital in Dallas, and was initially told to go home. He returned three days later and was admitted for treatment, but spent some time in an open area of the hospital before being transferred to isolation. Nina Pham's Tranfer to the National Institutes of Health in Washington, D.C.
Pham’s dog, Bently, was also isolated and is being monitored for symptoms of the Ebola virus. There is currently no more information on his condition.